I have always been one of those girls with tons of clothes and a tiny closet (except for a brief stint in college where I had the closet of my dreams). My closet is always cluttered. I’m always finding things that I haven’t seen in years and many still have the tags on them (I know, I’m that bad)… I have jackets and coats strewn all over my room, and my shoes….I’m not even going to go there. The idea of moving into a new place (with an equally tiny closet) has really inspired me to make the most of my space. I have decided that in order to store all of my belongings, some will have to be on display in my room. I’ve taken a few notes from fellow fashion bloggers, and have come up with four solutions. 1. A clothing rack displaying a few of my favorite pieces of the season to showcase in my bedroom (I can always rotate these items to make the most of my clothing). 2. 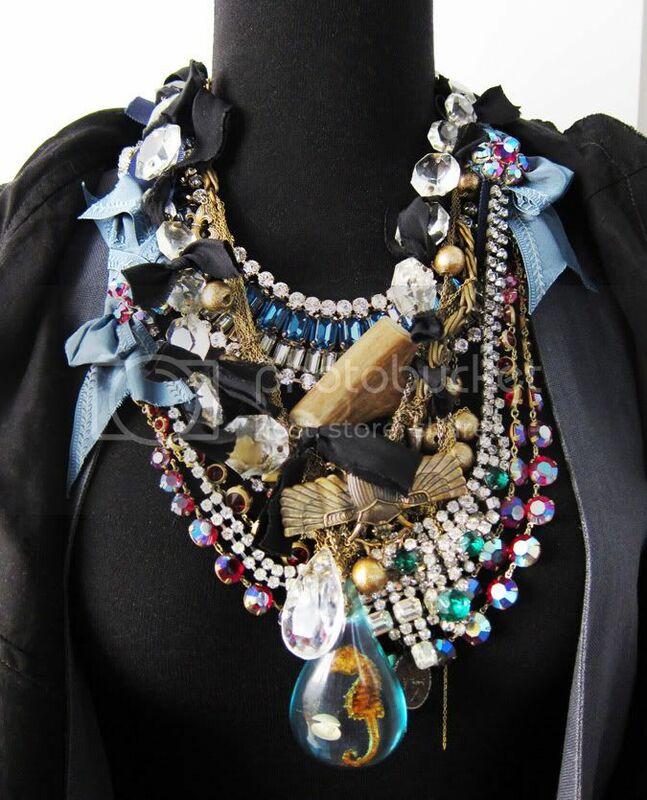 A dress form to display my favorite jewels and scarves. 3. Replacing all hangers with velvet slim-line hangers (these protect your clothes, and give you loads more space). 4. A simple shoe rack to display my favorite shoes of the season. 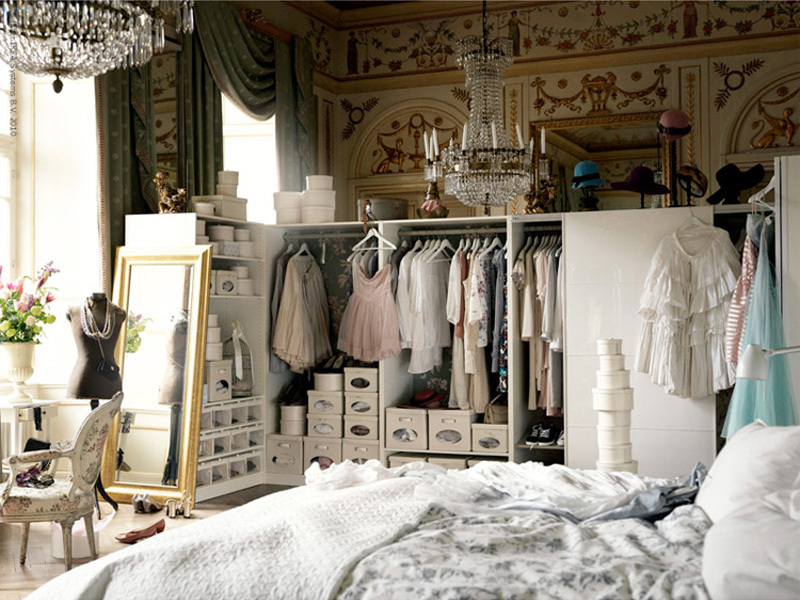 By utilizing these solutions, I should have ample space in my closet (fingers crossed). 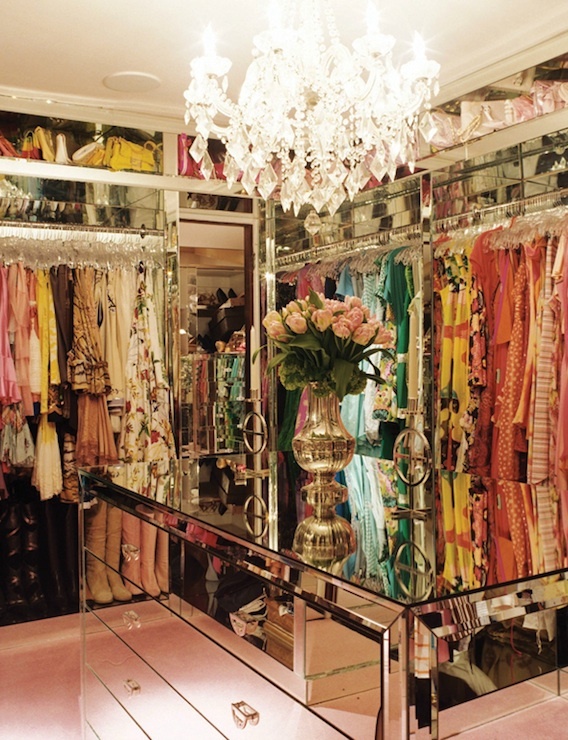 Just for fun, closets of the fabulous! i have 2 clothing racks in my guest room, which is where i get dressed. it's actually a really fun part of the room. Good luck!